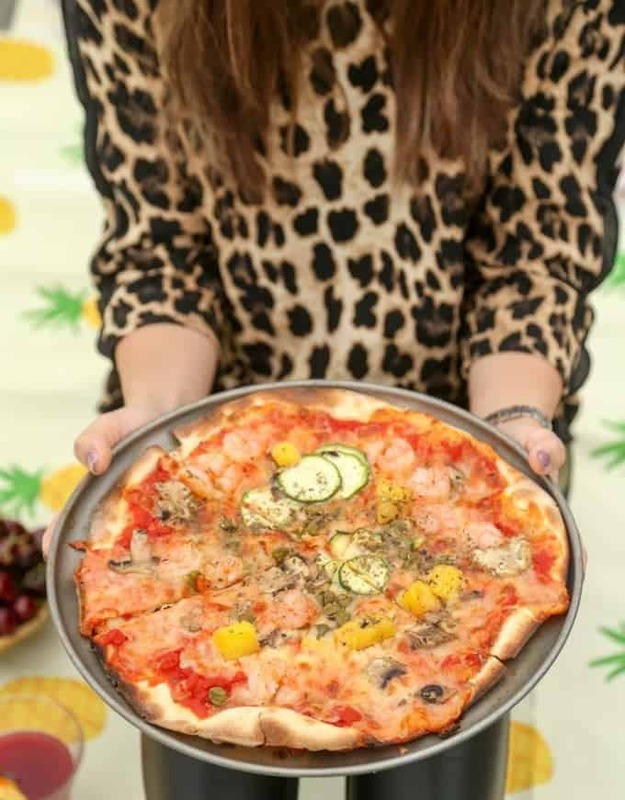 Summer Pizza Party - Celebrate the Season with Honmemade Pizza! We are ending or season of beautiful weather with an End of Summer Pizza Party! 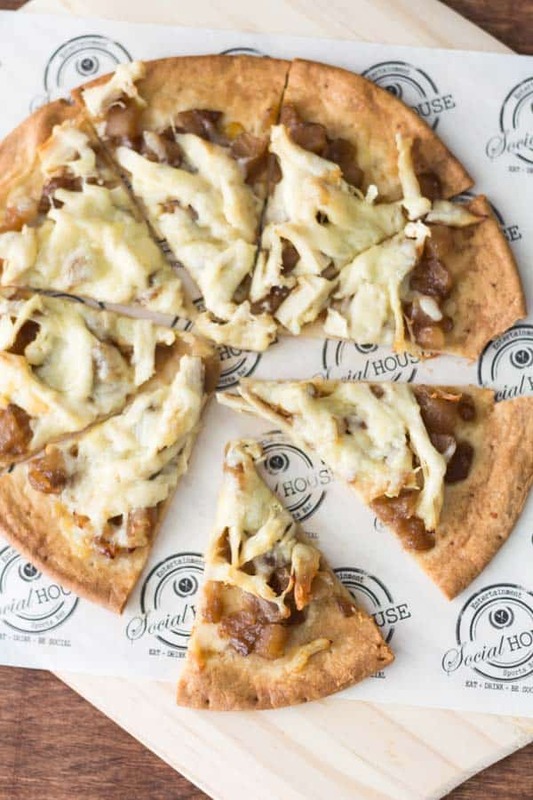 This collection features delicious homemade pizzas from some of the biggest and best food talent on the planet. Grab a mixing bowl and crank up your ovens. This is going to be good! 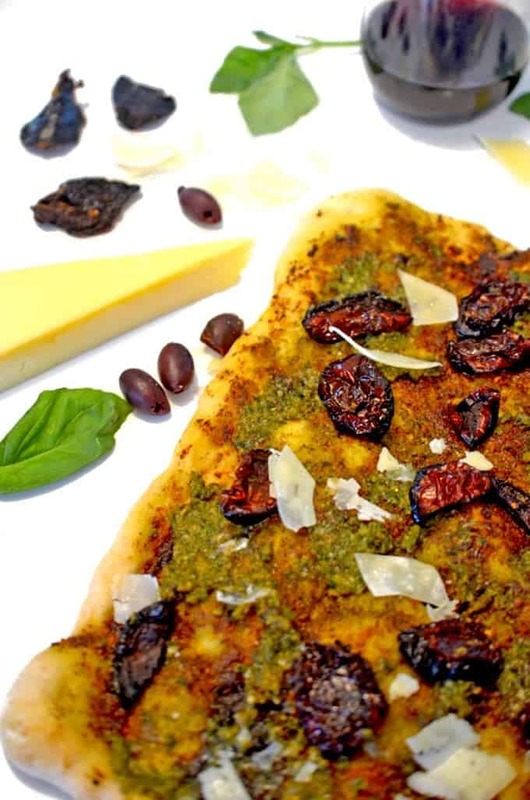 Our own Pesto Pizza with Sun-dried Tomatoes and Asiago Cheese is a simple pizza that’s light on the palate and heavy on flavor. It’s everything we love about summer. Summer is at it’s end so we all know what season is up next, why not make the most of it in the form of a sweet and savory pizza? 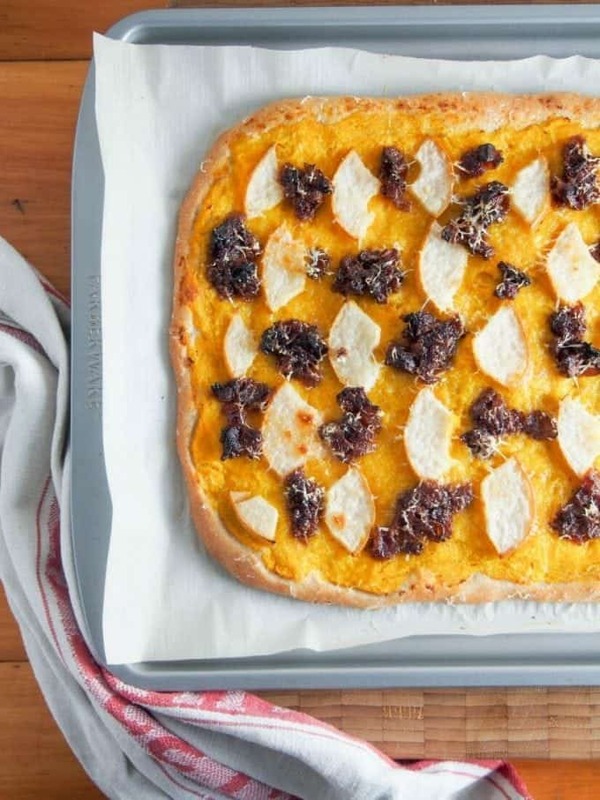 This Bacon Jam, Pear and Butternut Squash Pizza is an original and delicious combination of fall flavors that play off of one another in perfect accord, it comes to us from Caroline’s Cooking. The Big Apple is known for many things, not the least of which is it’s authentic pizza concoctions. Little Sunny Kitchen bring to our end of summer pizza party this New York Style Pizza. We can’t wait to pop this baby in the oven! Using a savory apple caramelized onion spread, this Chicken Flatbread Pizza from Spoonabilities makes for a delicious transition into fall and can be put together in a matter of minutes! If you are looking for one more (especially) delicious way to put that late summer zucchini to good use, this Spinach & Zucchini Spelt Flour Pizza from Vibrant Plate is your ticket! Omit the ham and have a nutritious vegetarian delicacy, with this beautiful end of summer pizza creation. The Margherita is often the pizza to which all others are compared. Using her grill, Culinary Ginger has combined the king tool of preparing summer fare along with what is arguably the queen of all pizzas. 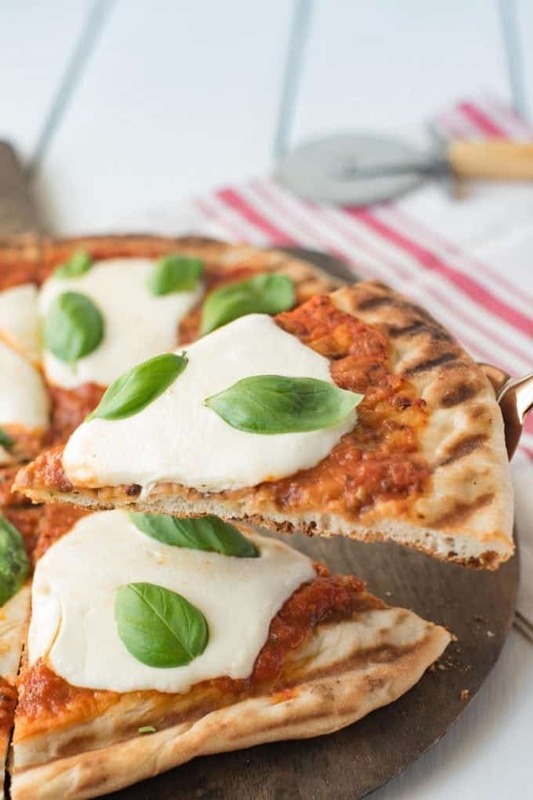 Don’t miss this royal combination of Grilled Margherita Pizza, it’s the quintessential summer pizza and an ideal way to celebrate the glory of the season. 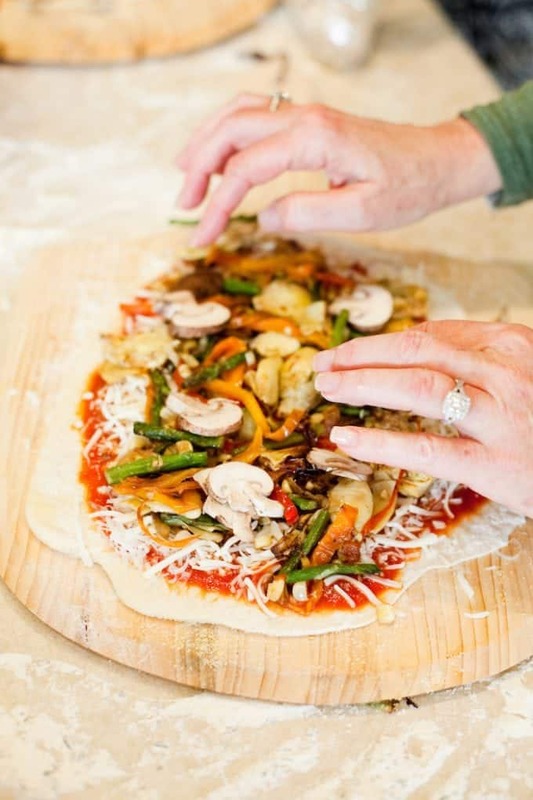 The Organic Kitchen does a delicious job of highlighting the best of summer’s bounty with this Homemade Grilled Veggie Pizza. Taking matters a step further, she also provides an excellent primer on the essential tools to enable you to make a homemade pizza in your own kitchen. 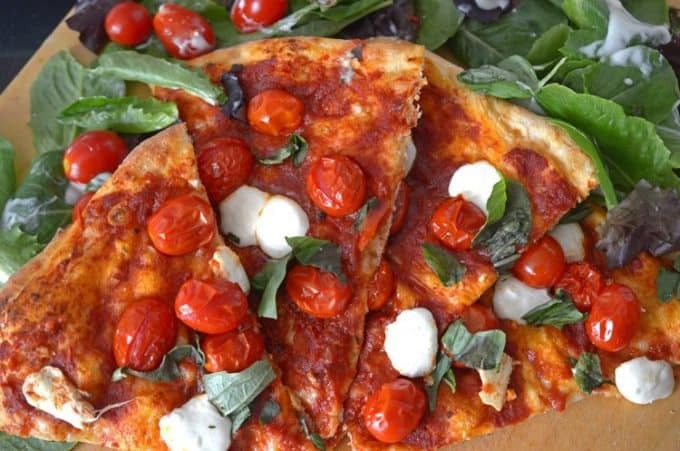 Be sure to take a look at this beautiful and healthy summer pizza. 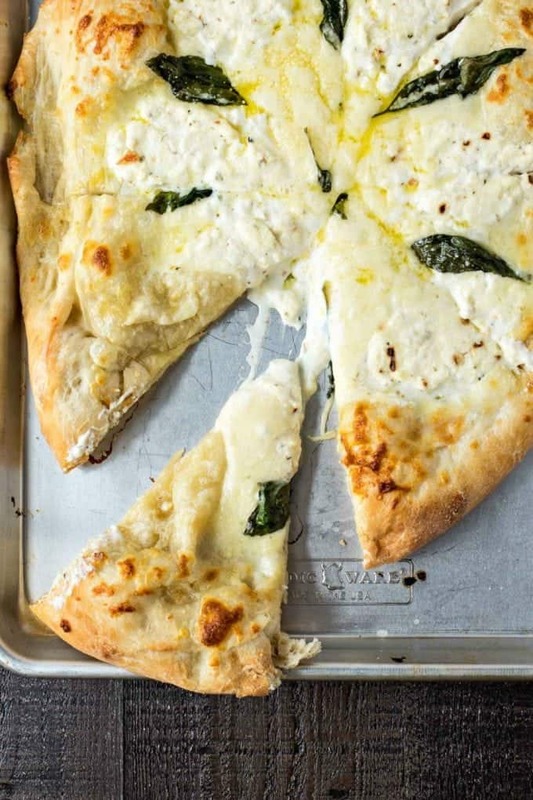 Say so-long to summer with decadence, with The Best Pizza Bianca (White Pizza) from Certified Pastry Aficionado. Featuring a blend of three savory cheeses, this mouthwatering pizza is augmented with bits of garlic, basil and red pepper flakes. Have a drool towel handy. 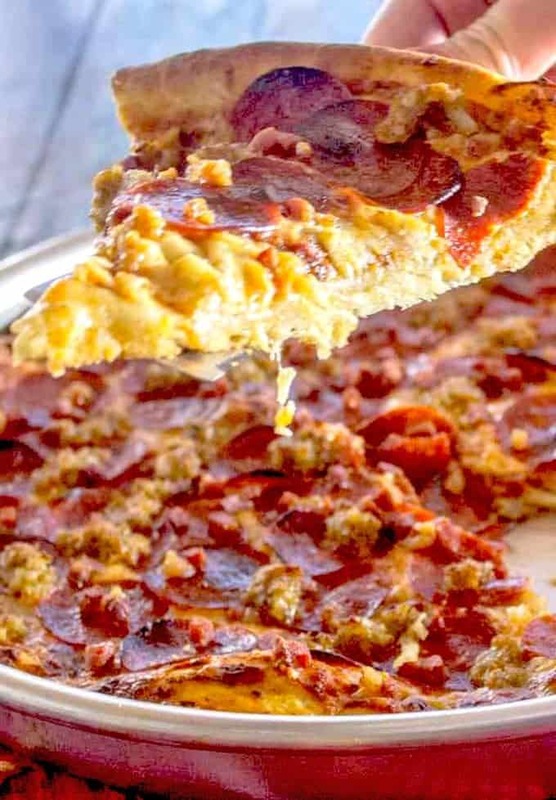 This Copycat Godfather’s Pizza from Slim Chef Recipes will impress even Cousin Vinnie. You’ll want to frame the crust of this one, it’s that good. 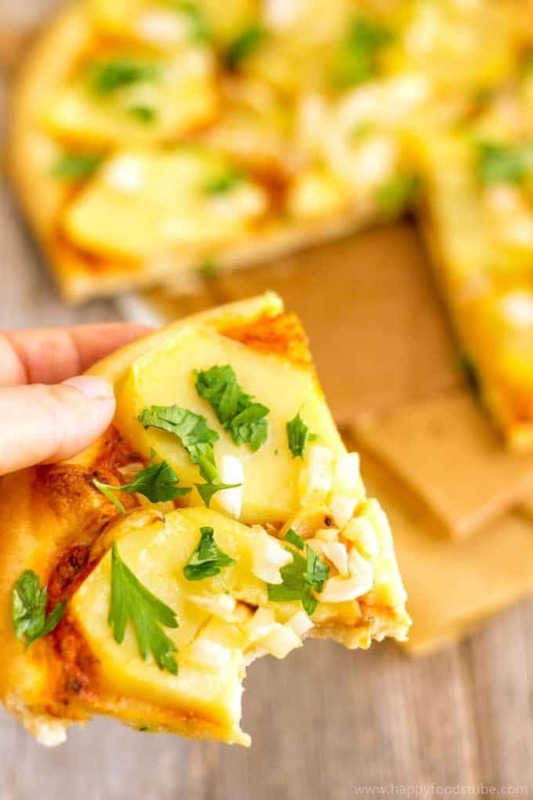 Homemade Vegan Potato Pizza is a flavorful and healthier choice for your end of summer pizza party and it comes to us from Happy Foods Tube. 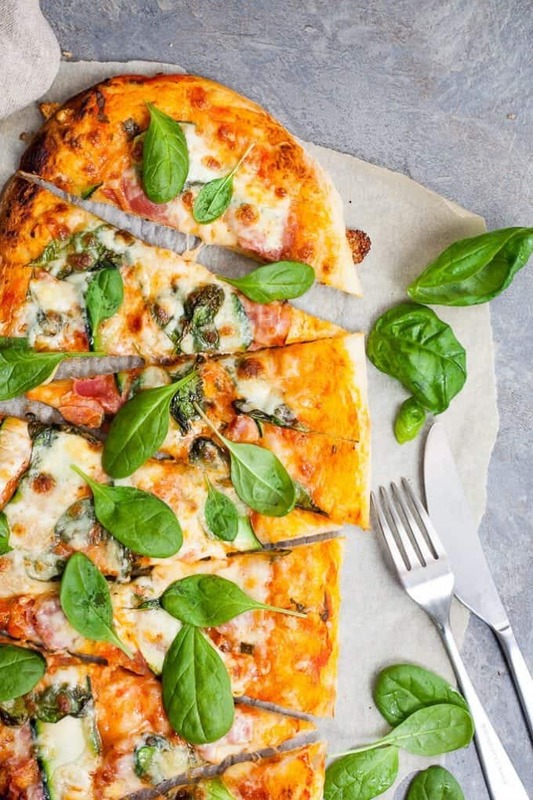 Check out our complete collection of Pizza Recipes here on Platter Talk! What great pizza ideas! Thank you! If we do end up having hurricane Irma take out our power, I’ll be grilling one of these pizzas on our gas grill! Stay safe, Lisette and thanks for checking in! The perfect pizza collection!. I don’t have to look around the internet for ideas. Fantastic job guys! I wish I was having an end of summer pizza party this weekend because I want all of these pizzas. Thank you for including my recipe.